Anesthesia is a necessary part of certain veterinary procedures. However, you may be wondering if it’s safe and just how necessary it is for your cat. You probably don’t want to expose your cat to more medication than is necessary. Also, stories of cats having bad reactions to anesthesia may drive some fears among cat owners. Vets and doctors understand anesthesia better today than they did several decades ago. It’s fairly safe when administered properly with up-to-date protocols. Anesthesia still poses some risks; although, bad reactions to anesthesia rarely happen in cats, and there are ways to reduce those risks. 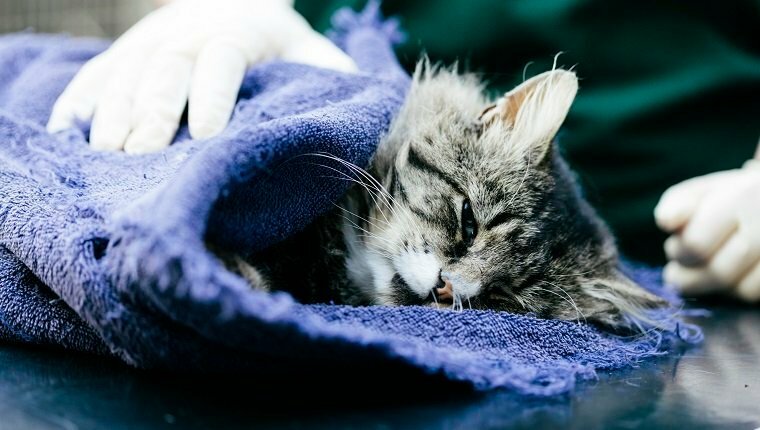 Here’s what you should know about anesthesia in cats and when it is necessary. What Is Anesthesia? What Does It Do? Anesthesia is a drug or gas administered via injection, through an IV, or by inhalation that causes insensitivity to pain. It can either be general, which puts the patient into a deep sleep, or local, which eliminates pain in a specific area of the body while the cat is at least somewhat conscious. Whether the anesthesia used is general or local depends on the procedure. Local anesthetics work by blocking pathways that lead to the brain from an area of the body. The local anesthetics commonly used in cats are lidocaine and bupivicaine. Vets usually administer these via injection or, for superficial wounds, topically. A cat who needs local anesthesia will likely receive a mild sedative first. Local anesthesia can be used for specific areas like the mouth or a paw, or it can be used for broader areas like the abdomen via an epidural injection. With general anesthesia, all pathways in the nervous system that transmit pain to the brain are active, but the patient feels no pain because the brain is asleep. A sedative precedes this type of anesthesia. 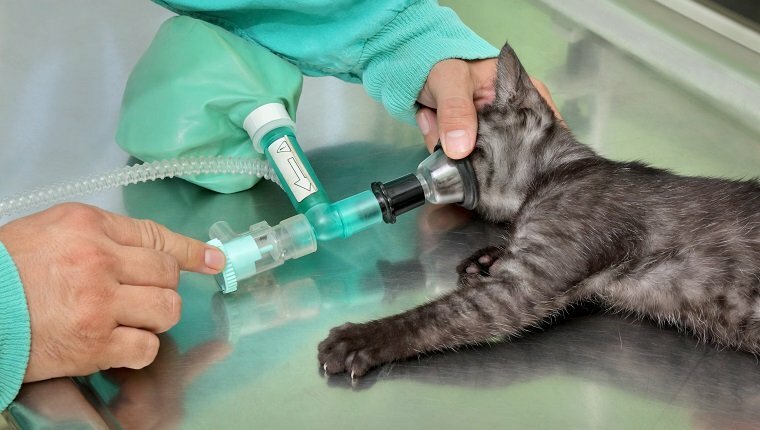 While the cat remains unconscious, the vet puts a tube into the trachea to make sure the path to the lungs stays open, and the cat gets a supply of oxygen. General anesthesia is usually delivered via inhalation of gas such as Isoflurane or Sevoflurane. Anesthesia is almost always necessary for larger procedures and often for minor procedures when a cat is too anxious and risks causing harm to those who are giving treatment. It protects the cat from pain in addition to keeping the veterinarian safe. Routine dental care often requires anesthesia. Even when cats trust their humans, they often resist even basic brushing from their owners. 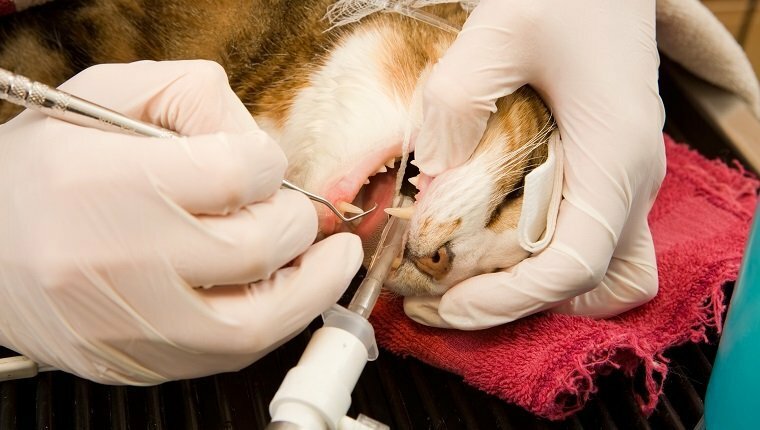 This can make dental care from a veterinarian or specialist especially difficult without some form of sedative, and if there is to be any dental surgery, a local anesthesia at the very least is a must, though a general anesthesia may be used instead. Local anesthesia is also necessary for treatment of specific areas of the body like a paw or an ear. Vets typically use it when suturing, cleaning wounds, or removing small tumors. They may use it to anesthetize larger areas of the body via epidural when repairing a limb fracture. General anesthesia is the choice for most complicated procedures like neutering and spaying or repairing a broken bone. It can also be given during minor procedures if a cat is particularly anxious and defensive. The decision between general or local anesthesia is also based on the cat’s age and health, the type of procedure, the organs that will be involved, and the time it takes for the drugs to affect the patient. These days, the risks of an animal having a reaction to anesthesia are low when protocols are followed. Only about one in 100,000 animals will have a bad reaction to an anesthetic. Vets can further reduce this risk by following certain guidelines before, during, and after surgery (see below). Reactions to anesthesia, though rare, range from mild to severe, and can depend on which type of anesthesia is used. Here are some anesthetics that are used and the side effects you might expect if your cat has a reaction. Barbiturates like thipental, thiamyla, and methohexital can cause respiratory depression if doses are excessive. They may also lead to cats taking longer to recover from anesthesia if they are older, obese, or have conditions that affect metabolism of the drugs. Ketamine can cause depression of the cardiovascular or respiratory systems. These conditions include difficulty breathing, fluid in the lungs, or pulmonary edema. This is more likely to appear in cats with cardiac disease. Propofol can cause apnea and overdose can cause cardiac arrest. This is rare. Usually, the effects on the cardiovascular system are minimal and nothing to worry about. Acepromazine can cause hypothermia in cats that have central nervous system lesions. Halothane can cause cardiac depression and hypothermia in some breeds. Isoflurane can cause depression of the respiratory and cardiovascular systems. What Should Happen Before Administering Anesthesia? There are several things your vet will do to reduce the risk of complications during administration of anesthesia. 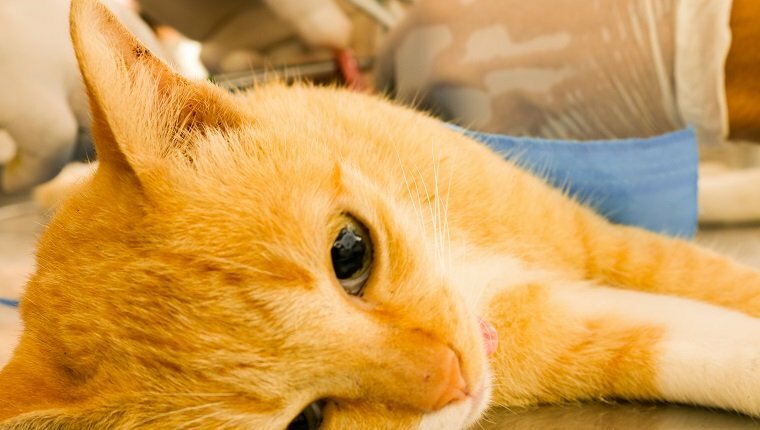 Your vet should run a pre-anesthetic test of kidney, liver, pancreatic, and bone marrow function to make sure your cat doesn’t have any conditions that could cause a bad reaction to the anesthesia. A high white blood cell count, for example, may mean your cat has a bacterial infection, and your vet will want to wait until that infection receives full treatment before administering anesthesia. Cats with asthma, diabetes, or hyperthyroidism may need to have modified protocols for anesthesia, as well, so it is important that you share your cats medical history with your vet. Your vet should also test electrolyte levels to make sure your cat doesn’t suffer from dehydration or electrolyte imbalance. The vet may put in an IV catheter to keep your cat hydrated or to deliver medications if anything goes wrong. 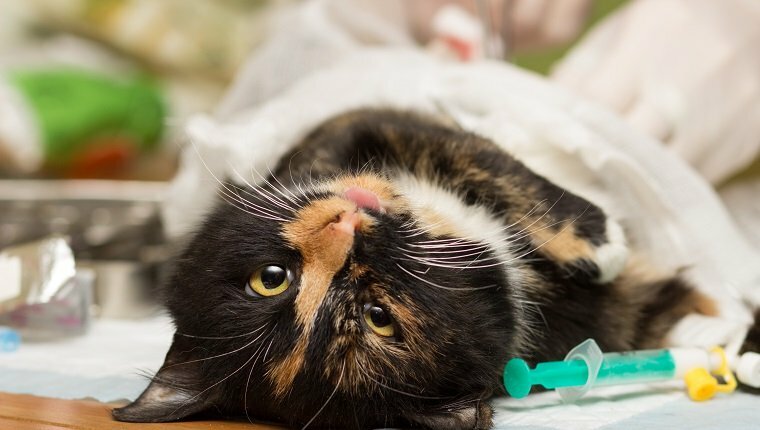 The IV fluid also helps maintain blood pressure and assists your cat in recovering from anesthesia by aiding the liver and kidneys in clearing drugs out of the body. What Should Happen While Under Anesthesia? It is important for cats to be kept warm throughout the process of receiving anesthesia. When their bodies stay warm, they metabolize the drugs more easily. The warmth will also make your cat more comfortable. Furthermore, it’s important to minimize stress by using a combination of sedatives, practices that include pheromone products, handling techniques, and pain relieving drugs. 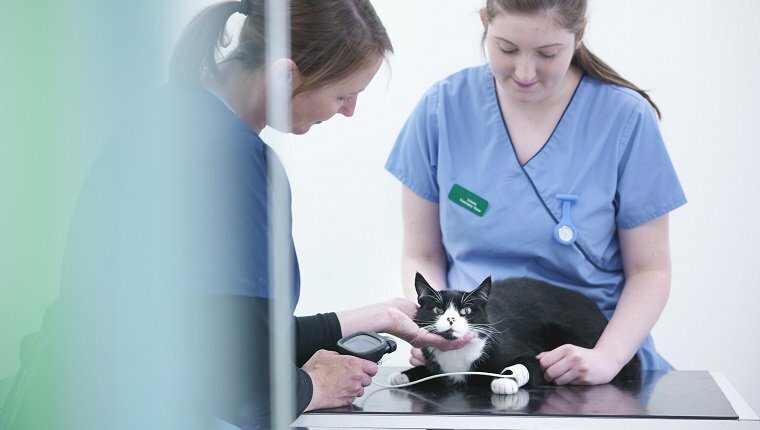 A surgery assistant or veterinary technician will monitor your cat throughout the procedure. They will check vital signs and adjust anesthesia levels. A heart rate monitor, an electrocardiogram that can measure unusual heartbeats, and a blood pressure monitor will keep track of those vitals. 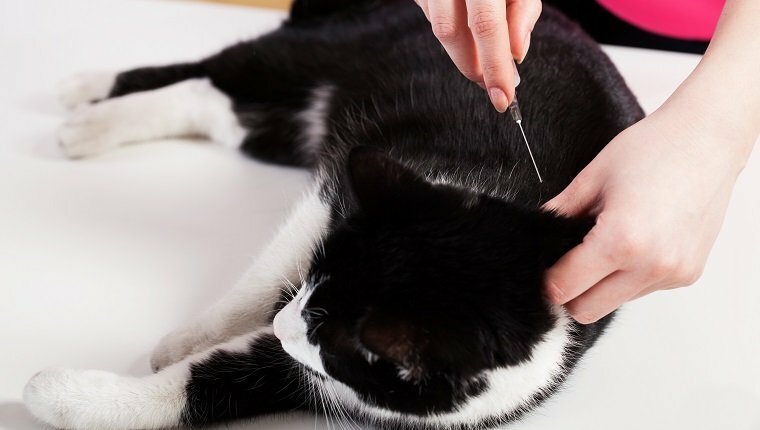 The assistant or technician will also check your cat’s body temperature and may monitor levels of oxygen and carbon dioxide in your cat’s blood. How Soon Should A Cat Recover From Anesthesia? 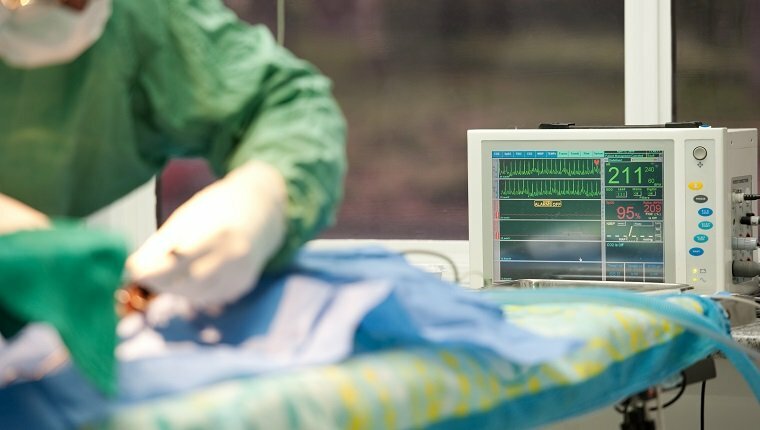 Your cat should recover fairly quickly thanks to modern improvements in anesthetics. It is likely that they will be back to normal within minutes or hours. Your cat will probably be more tired when they get home, but this is due to the stress of the procedure more than the drugs. If your vet has provided your cat with the proper IV fluids, they should be able to pass the medication out of their system fairly quickly. It is important that you follow any instructions your vet gives you when you leave to make sure your cat continues to recover properly. Do you have concerns about using anesthesia for procedures on your cat? Has your cat had to receive anesthesia in the past? Let us know in the comments below!